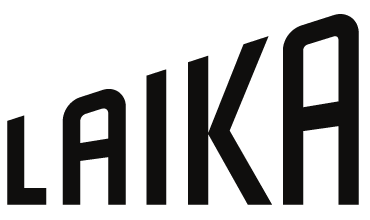 Hillsboro, Oregon (April 3, 2017) – Award-winning animation studio Laika announced today it has tapped Striker Entertainment LLC to serve as its worldwide licensing agent. “As Laika looks to broaden its licensing program, we will be working in conjunction with Striker to develop a global licensing program with best-in-class licensees to ensure the highest level of quality and authenticity for our ground-breaking catalog of films,” said Brad Wald, Laika’s CFO and head of business operations. Prior to joining Laika in 2016, Mr. Wald’s career highlights included managing NBCUniversal’s highly successful commercial activities surrounding “Downton Abbey”. In addition to working closely with distribution and home entertainment teams to fully expand the show’s global reach, Wald developed new ancillary revenue streams from scratch including a Licensing Industry Merchandisers’ Association award-winning consumer products portfolio. Fueled by the vision of its owner, Nike co-founder and former Chairman Philip H. Knight, and its President & CEO Travis Knight, feature film animation studio Laika celebrated its 10th anniversary in December, 2015. Located just outside Portland, Oregon, Laika was awarded a Scientific and Technology Oscar for its innovation in 3D printing in 2016. Its four films,”Kubo and the Two Strings” (2016); “The Boxtrolls” (2014); “ParaNorman” (2012) and “Coraline” (2009) were all nominated for Oscars and PGA Awards as Outstanding Animated Film and “Kubo”, which marked the directorial debut of Travis Knight, also received an Oscar nomination for Outstanding Visual Effects. “Kubo” won this year’s BAFTA Award as well as three Annie Awards, the National Board of Review and 19 regional and critics’ group awards. “The Boxtrolls” also earned Critics’ Choice and Golden Globe Award nominations and 13 Annie Award nominations, more than any other film that year. “ParaNorman” (2012) garnered BAFTA, Critics’ Choice, and GLAAD Media Award nominations and won two Annie Awards and was cited as the year’s best animated film by 14 critics’ groups. “Coraline” earned Golden Globe, BAFTA, and Critics’ Choice nominations, and was named one of the year’s 10 Best Films by the American Film Institute (AFI). For more information, visit www.laika.com. Striker Entertainment is a Los Angeles-based full-service global licensing agency dedicated to maximizing licensing opportunities and building brand equity for its clients. Striker represents many of Hollywood’s most exciting entertainment properties including “The Walking Dead”, “Five Nights at Freddy’s”, “Preacher”, “Orphan Black”, “Valerian and the City of a Thousand Planets”, “Exploding Kittens”, and “We Happy Few”. Striker has won several Licensing Industry Excellence Awards for its licensing programs, including “The Walking Dead”, “The Twilight Saga”, “The Hunger Games”, and “Angry Birds”. Celebrating its tenth year and headed by industry veterans Russell Binder and Marc Mostman, Striker’s client roster includes AMC, Amblin Partners, J.K. Benton Studios, EuropaCorp, Sony Pictures Television, and several others. For more information, visit www.strikerentertainment.com.